Plymouth Leander leads the city's elite swimming programme, training at Plymouth Life Centre. Many of our Sporting Excellence Scholars are or have been members of Plymouth Leander swimming club, benefiting from their Olympic standard coaching. Plymouth Leander has helped the likes of Antony James fulfil his ambition to compete at the 2012 Olympics, Issa Mohamed to become one of Kenya's fastest swimmers and Matthew Zammit to become a Maltese national record holder, both of whom narrowly missing out on Olympic selection. 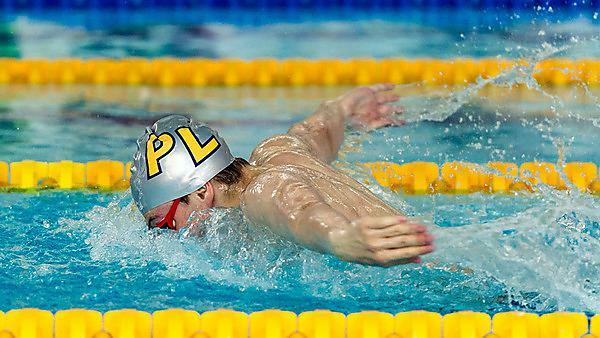 Plymouth University is proud to have partnered with Plymouth Leander, not just in supporting our elite swimmers. In 2016 the club ran a Swimathon as a fundraiser for our Centre of Excellence in Brain Tumour Research, raising enough money to place a tile on the Wall of Hope, representing a whole day of research. Plymouth Universities swimming Sporting Excellence Scholars train at and compete with Plymouth Leander Swimming Club. Their elite training programme allows our scholars to train as often as possible and at one of Plymouth University's sporting partners, Plymouth Life Centre, which is one of the country's leading sporting venues. Antony James, who has now retired from competitive swimming, coaches Plymouth Leander swimmers to the high standard he received through his swimming career. After competing at the London 2012 Olympic games Antony decided to focus on the future of others, sharing his experiences through coaching and his business, AquaElite. Plymouth University supported Antony through his Olympic journey with the Sporting Excellence Scholarship.